Drawing somebody else's character design a million times is often a necessity in animation. This is tedious work but the key to get through it is to be creative with it and to try to have fun while drawing a design you may think is stupid. 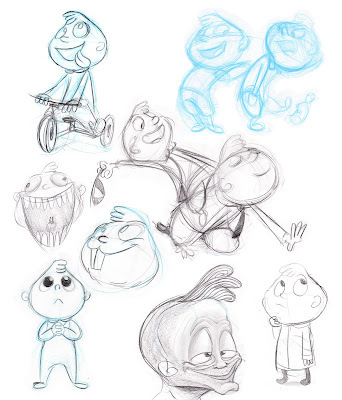 I've been drawing Gerald McBoing-Boing all day. Here's a few sketches.